A young and successful television actor relocates to New York, where he rents a marvelous, gothic apartment. 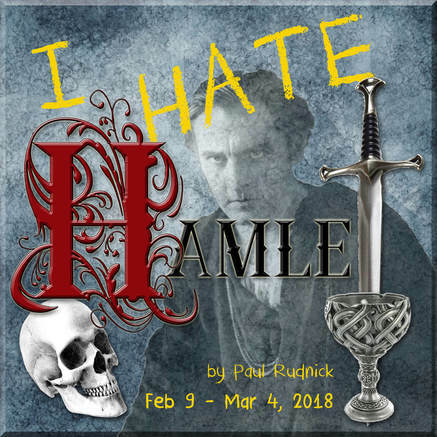 With his television career in limbo, the actor is offered the opportunity to play Hamlet onstage, but there's one problem: He hates Hamlet. His dilemma deepens with the entrance of John Barrymore's ghost, who arrives intoxicated and in full costume to the apartment that once was his. The contrast between the two actors, the towering, dissipated Barrymore whose Hamlet was the greatest of his time, and Andrew Rally, hot young television star, leads to a wildly funny duel over women, art, success, duty, television, and yes, the apartment. ​"…fast-mouthed and funny…It has the old-fashioned Broadway virtues of brightness without pretensions and sentimentality without morals." —Village Voice. ​Support us when you shop for your Valentine. 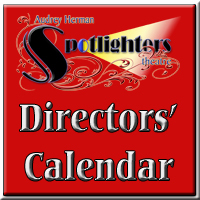 Audrey Herman Spotlighters Theatre Inc.